Nicole is the first face you see smiling at you when you walk through our front door. 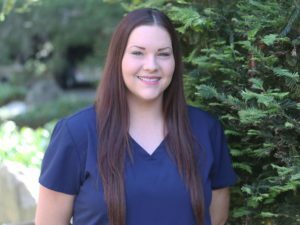 She has been a part of the team for over a year and loves greeting each person that walks into the office with warmth and joy, making them feel welcome and comfortable. Nicole loves being a part of the team as she feels her coworkers are like her extended family. In her spare time, she enjoys getting together with family and cooking. She especially enjoys going on family trips and spending time with her husband and two beautiful daughters.